Since I've been a bad blogger, you get to take a peek at my past TWO weeks. How's that for a treat? LOL. Seriously though, I'm having trouble keeping up with the days, let alone the weeks. But, I'd rather be busy than bored. 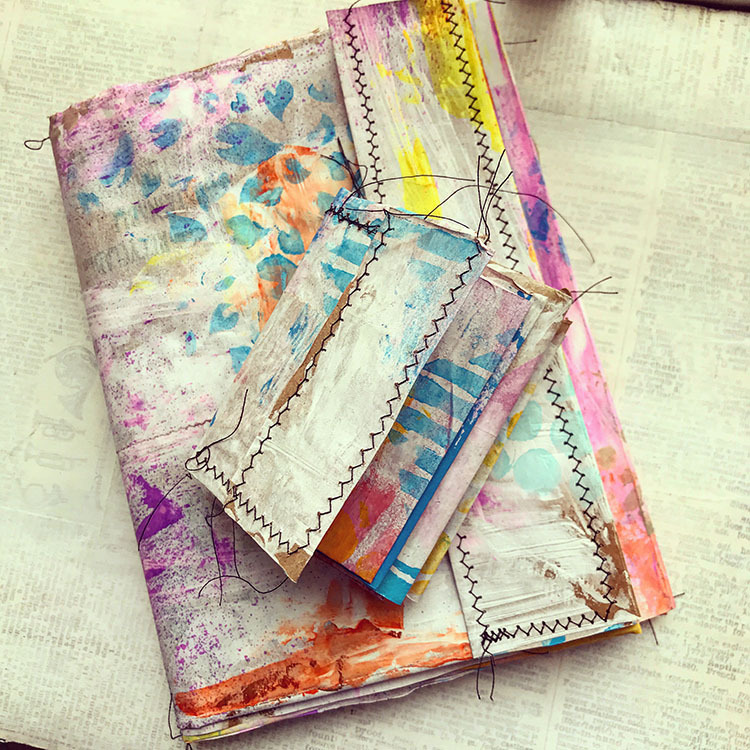 Two weeks ago I finished making these two paper bag journals following the video instructions from Erin of Happily We Go. Now to fill them up! On Sundays, Pat and I try to have what we call "Puppy Fun Day" in which we take Zoe out for some sort of adventure. It's usually just a walk along Mobile Bay, but sometimes we like to venture out a bit more. 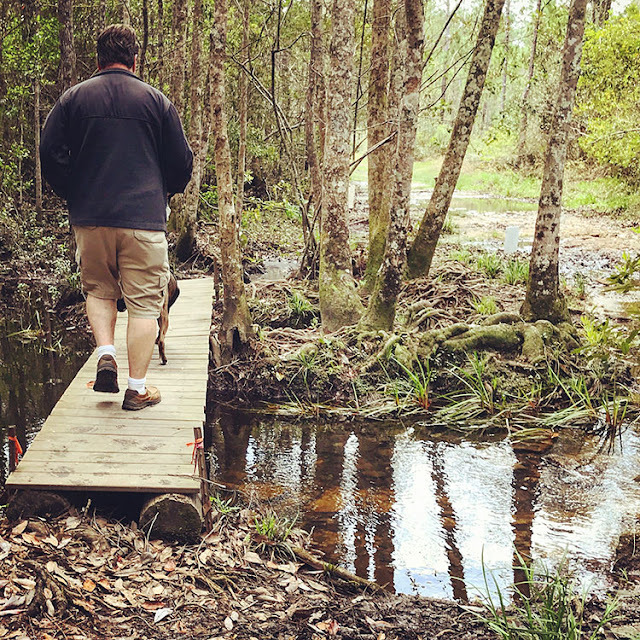 Learning that Graham Creek Nature Preserve had extended some of their trails and added a few more disc golf courses, we decided to go check it out. We took a seriously long hike/walk through their trails. 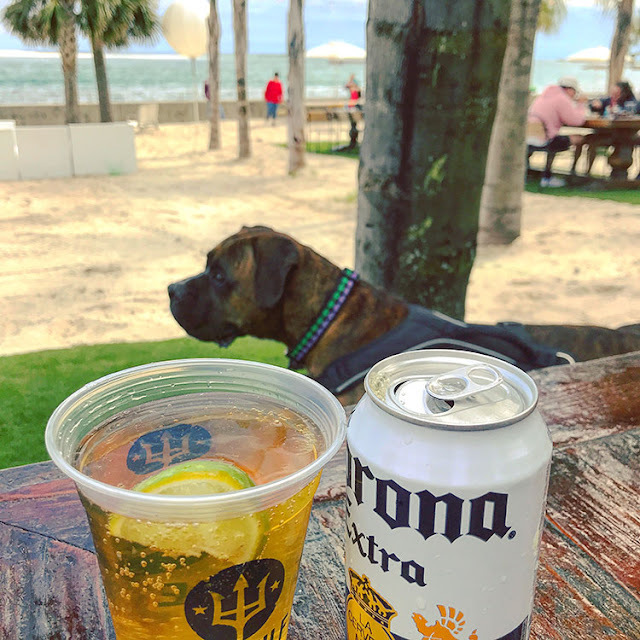 And, we rewarded ourselves with a trip to The Gulf for burgers and beer on the beach. It was a wonderful day. And, we were relieved that we had tired Zoe out on the long walk as she was exceptionally well-behaved at the restaurant. As you can tell, the weather down here has been glorious. 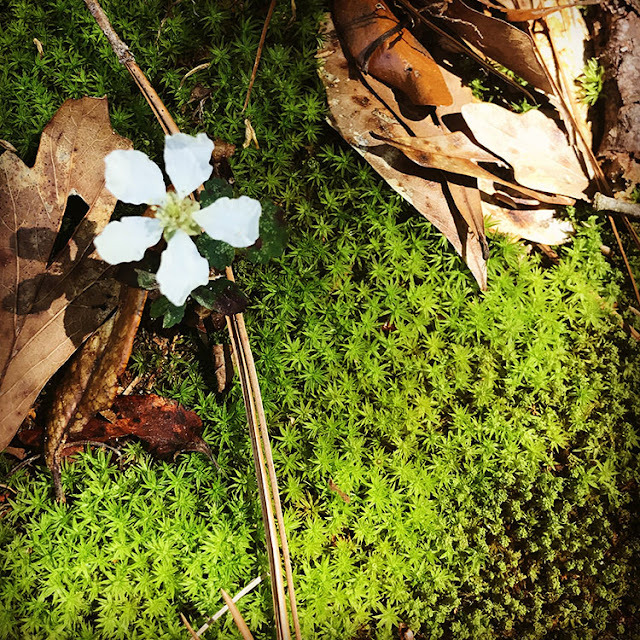 Everything is in bloom, and most of us have been suffering from allergy issues as a result. 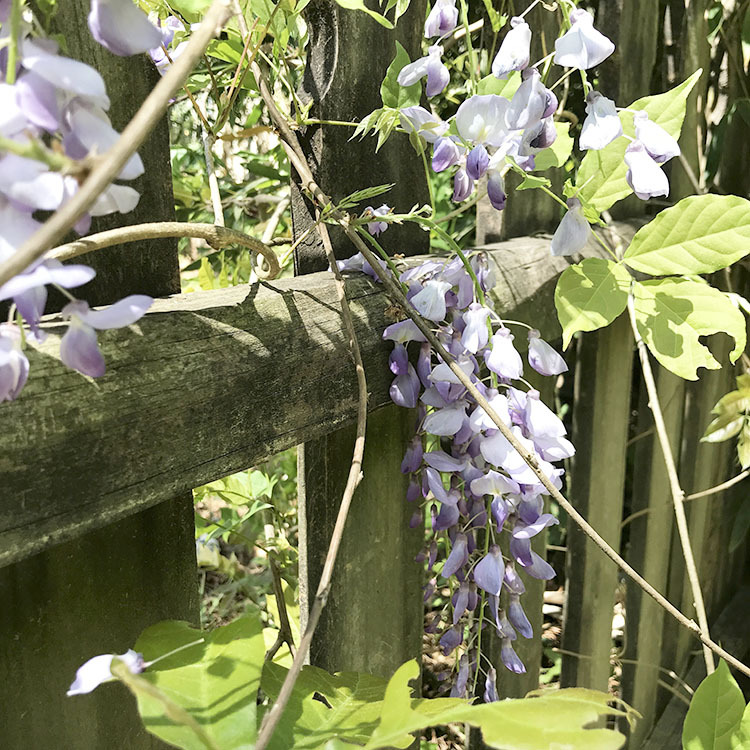 Despite our best efforts over the past several years, we still haven't rid the property of wisteria. It's honestly one of my absolute favorite scents and flowers, but the vines will cover everything, choke existing plants, and pull down anything in its path. It's not worth it. I have more work to do once they're no longer blooming. 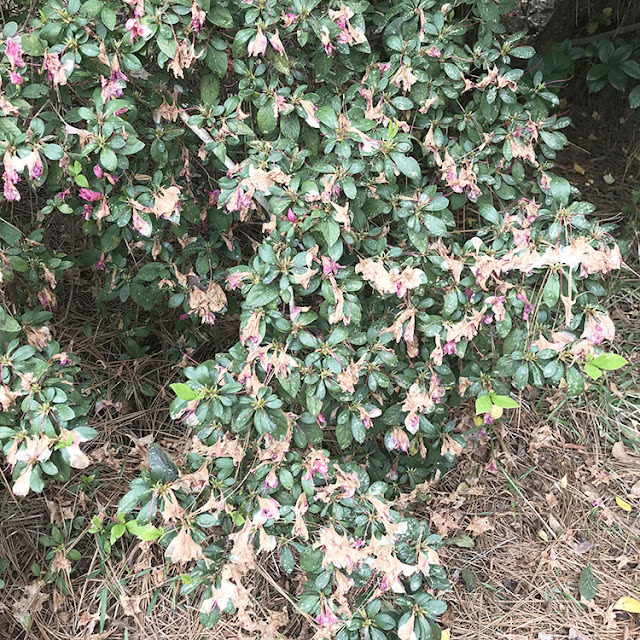 The delicate azaleas have long faded away. And, we've been left with this sad state of our bushes. This is mostly because the weather's still fluctuating between perfect weather that doesn't go above 75 and then chilly dips into the 40s. But, my fruiting trees and bushes don't seem to mind. Our mild winter has them exploding with blooms and fruit. 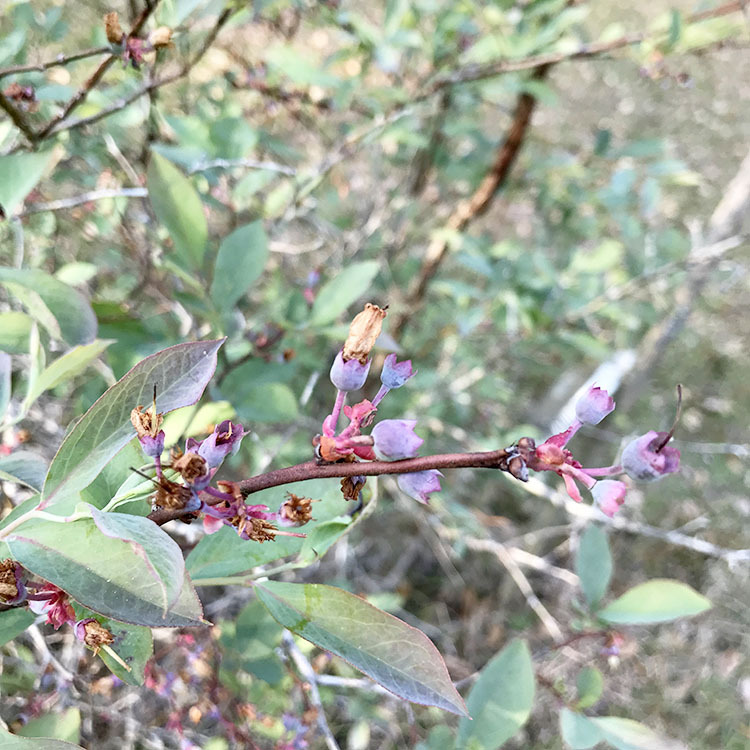 You can already see the blueberries beginning to grow and ripen. I'll have to get you pictures of my citrus soon too. I've done what I can to make sure I enjoy the temperate weather. 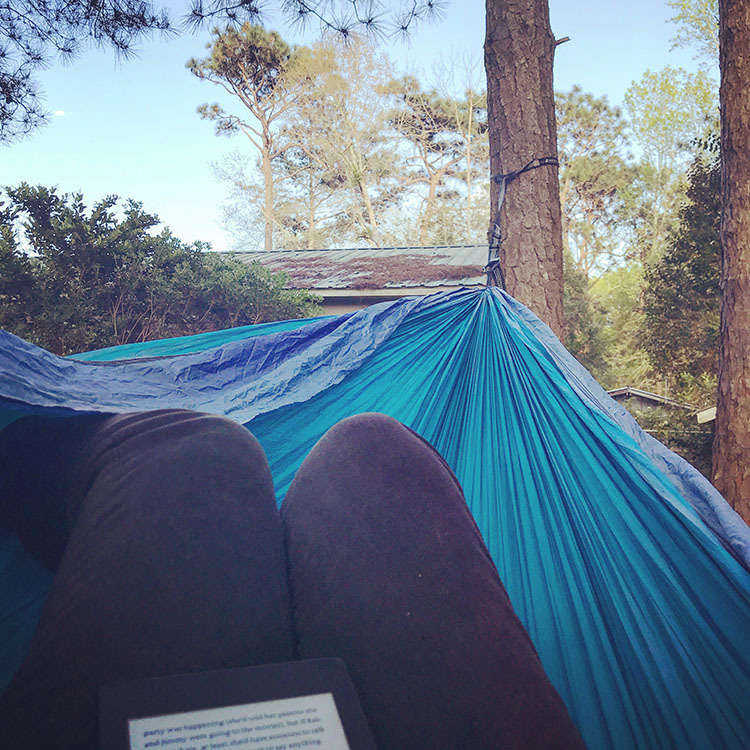 My hammock and Kindle have been broken out on more than one occasion to help me ensure that I appreciate the days. I'm not the only one enjoying the weather. I've seen lots of other animals out and about since it began to warm: lizards, snakes, and bunnies to name a few. I failed to mention it in my last Challenge post, but #The100DayProject begins tomorrow. I've participated in the project the last two years; first by making earrings for 100 days and then by altering 100 objects. This year I'm taking a different route. I've decided to use #SilverloxFinds and share pictures of some of the weird and beautiful that I discover on our property. These pictures may include actual buried bits like the knob above that I stumbled on the other day. Or, I may share more natural elements that take my breath away. This blackberry bloom poking up from the blanket of moss stopped me in my tracks. Oddly enough, I found both of these within the same 10 feet of one another on different days. I'm hoping this project will get me out of the house, walking the property (exercise, yo! ), and allow me to be open for the presence of magic and wonder that can be found outdoors. And, I want to share it with you! Make sure to follow @CraftyHope on Instagram and/or #SilverloxFinds to see what I discover over the next 100 Days. If you're doing the project too, please let me know so I can make sure to follow you too! I was mesmerized and enthralled with these Miniature Assemblages from Kendal Murray. Learn how to make a Layered Paper Ring at All Things Paper. Make and Fable shared a few tips on How to Be More Creative Everyday. Nunn Designs has been killing it with their tutorials as of late. Check out this Colorized Resin Gems Tutorial. Etsy shared their Top Jewelry and Accessory Trends for Spring. Woven wall hangings have been all the rage. Here's an upcycled version of a DIY Yarn Wall Hanging. This DIY Upcycled Painted Cross-stitch Cuff is too cute and a perfect project for almost all ages. Learn how to make this Chunky Wooden Bead Statement Necklace. Use a basic bangle base to make a DIY Rainbow Stripe Bangle. Roll out Fabric Beads with Mod Podge Ultra. Create Sparkle Necklaces with ICE Resin. Take a look at the jewelry created by Gesine Hackenberg out of ceramic ware. 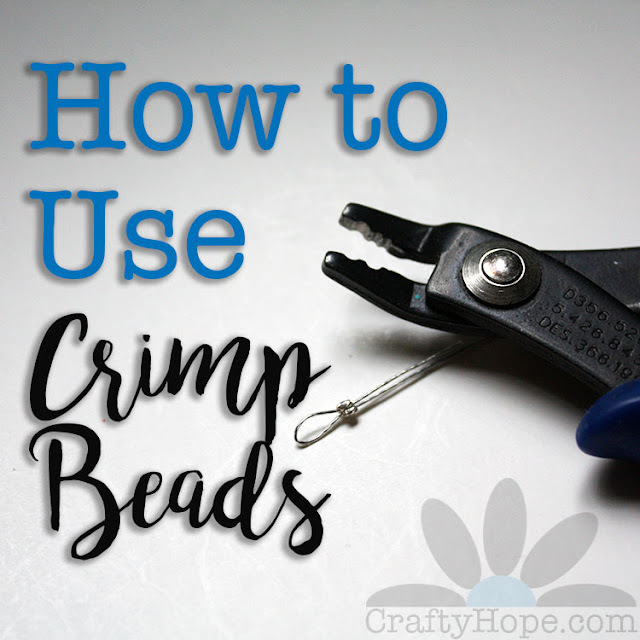 Jewelry Making Journal shares how to make your own Crimp Bead Covers. These glitter and resin earrings are great. 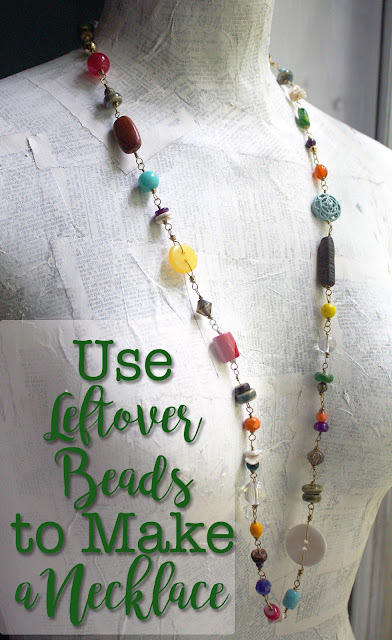 And, show just how you can create beautiful jewelry with only a few materials too. Finally, I'm smitten with this adorable Spring Bunny Craft. Two weeks, whew! Here's hoping I don't get that behind again! Wishing you a fabulous week, and that's no April Fooling!! Zoe is a lucky dog to have you guys as parents! The wisteria is fun for me to see since it is wild and everywhere! The flowers are gorgeous but we will refrain from planting any on our property. 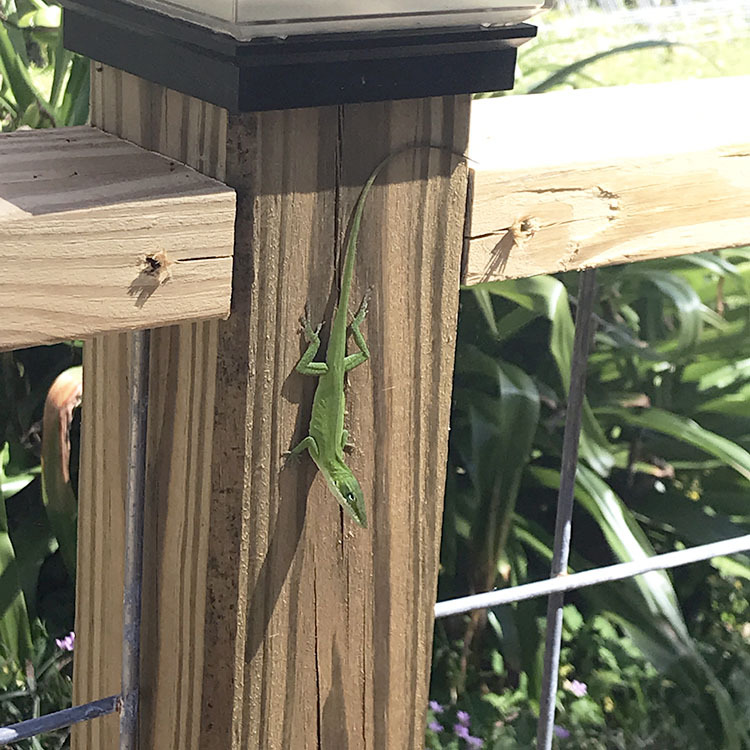 We are seeing lizards run across our deck on warm days. I saw my first blue tailed skink and first wild alligator on Saturday! Very exciting. Beautiful pictures, Hope! 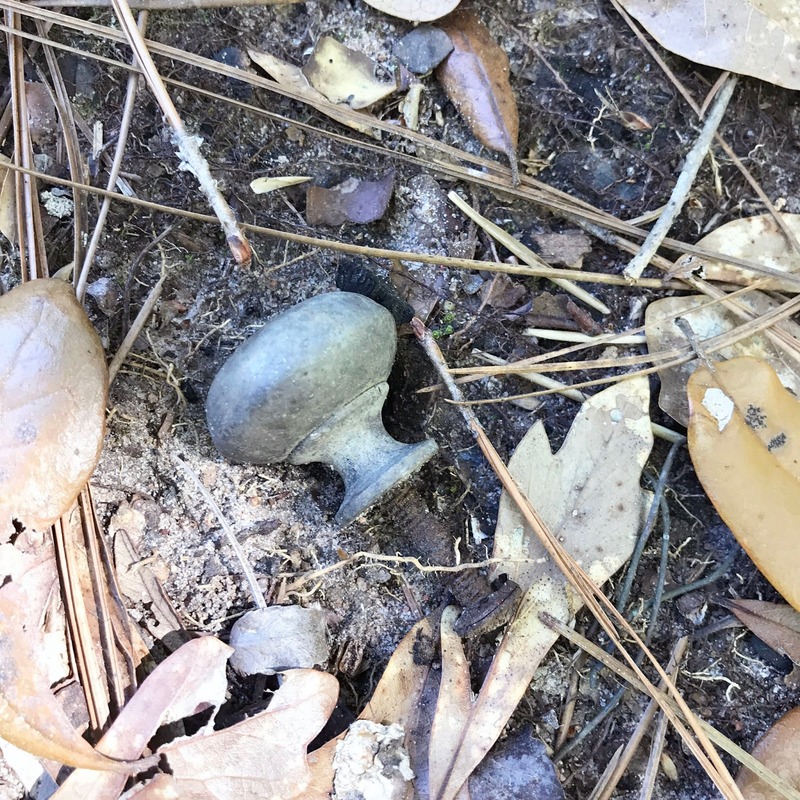 I am amazed at all the finds you keep discovering on your property and am really looking forward to your 100 day project!